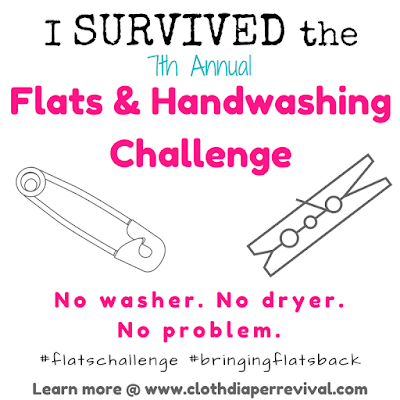 The last day of the 7th Annual Flats and Handwashing Challenge is here! If you're new to the Challenge, please read more about what's going on this week as families all over the world will be diapering their babies with flat diapers and handwashing for a whole week. Today's topic is to share about your experience. What did you learn? How did it go? Do you think this is a feasible option for families experiencing diaper need? Did you find a new love for flats or handwashing? As I've shared before, this is my second time taking part in the Challenge, with a 5 year gap between Challenges for me. My experiences have been pretty similar. 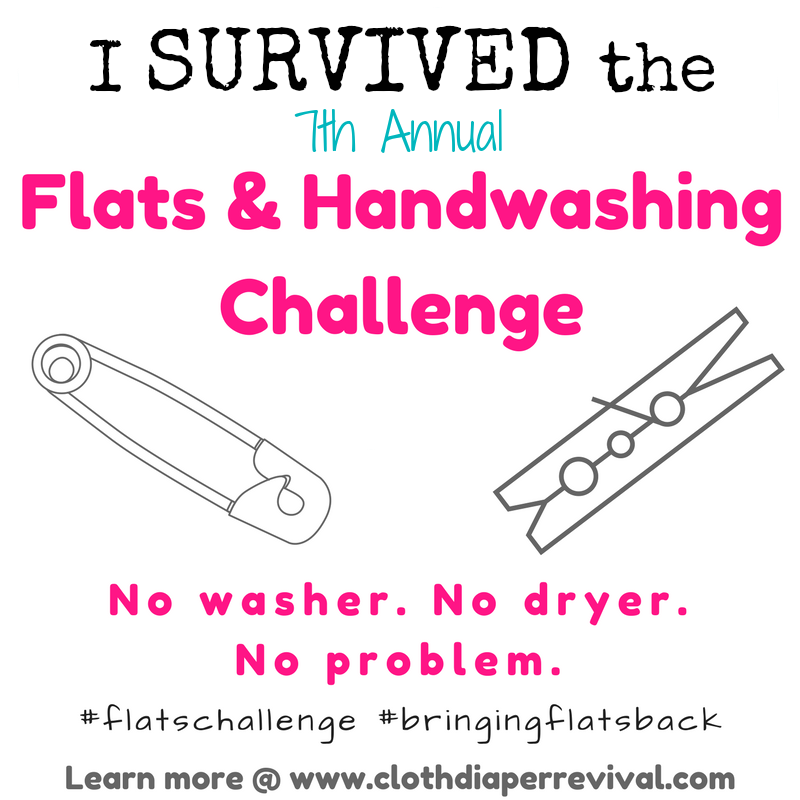 I used flats basically the same way with both Challenges and choose the same handwashing method. I will say that it was a little more complicated this time around having two kids and juggling everything that is involved with that. My second baby is also a lot more work than my first! He's very busy! So spraying out diapers, keeping him out of the bathroom, etc. is a chore! The one thing I love about this Challenge is that it reminds me how much I love flat cloth diapers! They are so easy to use (much easier than it seems!) and very inexpensive! While I love my AIOs, flat cloth diapers are easily one of my favorite ways to diaper my babies! It doesn't even have to be complicated. A simple pad fold is easy and sufficient! And while handwashing IS more work, it's not that hard and it doesn't take too long. At the end of the day, I have a lot to do. The hours between 5 and 8 pm are easily the busiest of my day. Between cooking dinner, getting everyone fed, bathed and in bed and then tidying up the house, cleaning up dinner, washing bottles,etc. it's a lot! I'm not going to lie! By the time my oldest is in bed at 8 I'm ready to crash. So adding handwashing a load of diapers to that list is not desirable, but it is doable. It doesn't take very long, 30 minutes TOPS! And in a situation where that is my only option because I don't have access to a washing machine or I can't afford to buy disposable diapers, it can work! I really hope that you had a positive experience with the Challenge this year! I hope you gained some experience that will help you share with others and possibly help a family in need. There will be a survey emailed to all participants in the coming weeks. Grab the image at the top of this post and share that you survived! If you didn't participate and just followed along, I hope you we were able to show you that this really does work! If you are a family struggling to provide diapers for your baby, please know that there are options out there. I encourage you to reach out to Giving Diapers, Giving Hope. Read through blog posts about flat diapers. A whole stash can be purchased for $50 or less or you can easily DIY them for free using materials around the house. There are options!